Former National Champion International Master G Akash shared the lead with 4.0 points after the fourth round of the 11th Chennai Open International Grandmaster Chess tournament 2019 for Sakthi Group Dr N Mahalingam Trophy at Novotel IBIS OMR Hotel, Chennai here today. GM Norm holder Akash defeated Grandmaster Ziatdinov Raset of USA. In the top board GM Paichadze Luka of Georgia scored over defending Champion, Grandmaster Laxman R R of India. Sharing the lead at 4.0 points with Paichadze Luka (Georgia) were Tran Tuan Minh, Nguyen Van Huy (both Vietnam), Lugovskoy Maxim (Russia), Akash G, Karthik Venkataraman, Shyamnikhil P, Harikrishnan A Ra and Girish A Koushik (all India). Half a point behind at 3.5 points were 11 players including GMs Popov Ivan (Russia) and Aleksandrov Aleksej (Belarus) among others. Top seeded Russian Grandmaster Alexandr Predke shed his second half a point, against Chennai based International Master T U Navin Kanna and remains at 3.0 points. GM Norm holder Akash put it across GM Ziatdinov Raset of USA in a Ruy Lopez game that lasted 46 moves. An early exchange sacrifice showed the Indian’s will to go all out for win. Shattering both sides of the board, Akash kept the Ziatdinov’s king in the centre and finished the game in a flourish giving his rook thereby forcing the queening of his pawn. 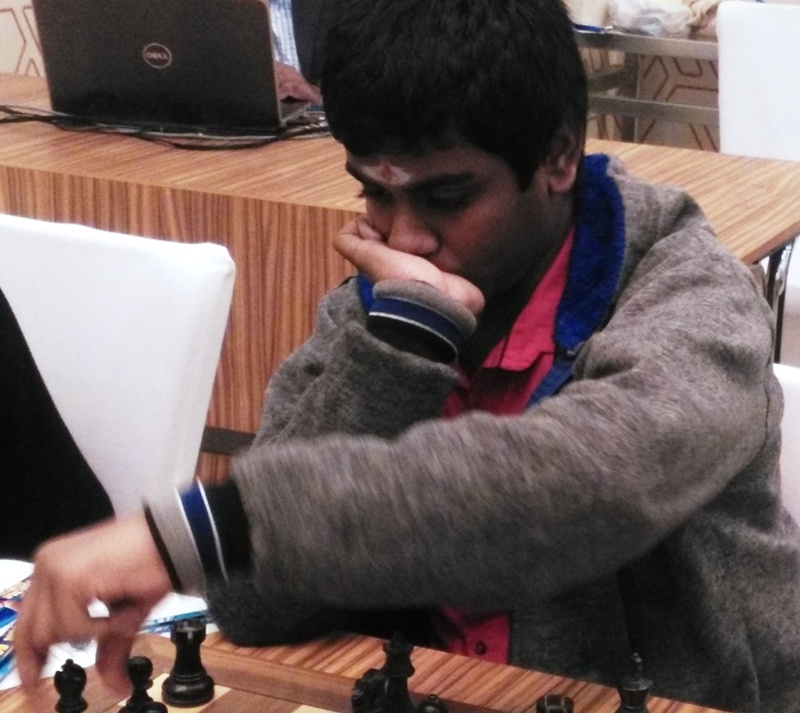 Earlier, IM Norm holder G B Harshavardhan (Velammal School, Chennai) scored the biggest win of his career defeating third seeded Russian Grandmaster Rozum Ivan (ELO 2589) in the third round that concluded late yesterday. Rozum side stepped a draw by repetition on the 20th move, but went into an inferior rook ending that Chennai boy fully used to his advantage securing the win after 56 moves. Further, Harsha came up with a steady show today holding International Master N R Vignesh to a draw and is scheduled to meet Grandmaster Stupak Kirill (Belarus) in the next round. The third round also witnessed upset wins for Sai Vishwesh C and Senthil Maran K over Grandmasters Deviatkin Andrei and Sundararajan Kidambi respectively. Six rounds remain in this 15 lakhs prize money tournament that concludes on Friday, 25th January, 2019.